In today’s world, it’s easy to think good manners and proper etiquette are relics of a simpler time. They’re not. Proper behavior is as important today as it ever was. Those who know the correct way to act in social situations are empowered by their knowledge and respected by others. Getting Ahead with Etiquette, Family Edition is a comprehensive guidebook to modern manners. 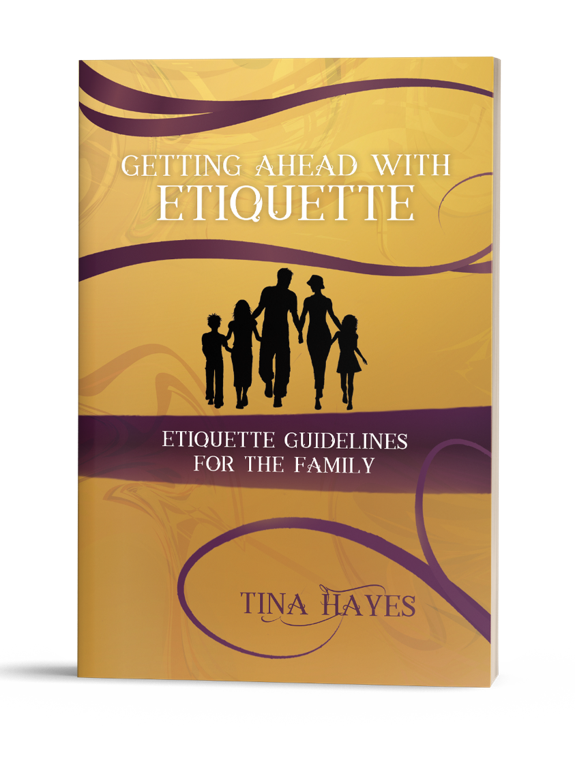 Etiquette expert Tina Hayes provides the life skills needed by adults and children across a range of social situations, from at-home events to dining out. Hayes’s wide-reaching guide covers such important considerations as proper sportsmanship, manners while traveling, shopping etiquette, table manners, hiking, and camping. You’ll discover the correct way to act as both host and guest, as well as proper etiquette for major holidays and traditional celebrations. Interactive questions and answers at the end of each chapter help you remember important etiquette points. Knowing how to properly behave in any given situation builds self-confidence in people of all ages while helping you treat others with respect and consideration. Etiquette isn’t dead—it’s experiencing a thriving resurgence. Contact Office 925-519-0354 to purchase 13 or more copies.